Magdalena Suarez Frimkess and Michael Frimkess began working together shortly after they met in 1963. Initially a collaboration of convenience which they saw as a way to fund their respective practices, their collaboration evolved into the more ambitious and realized work they produce today. Working in different corners of the studio, Michael obsessively pursues the art of throwing traditional pottery while Magdalena paints the surfaces of the pots with her elaborate glazed compositions. 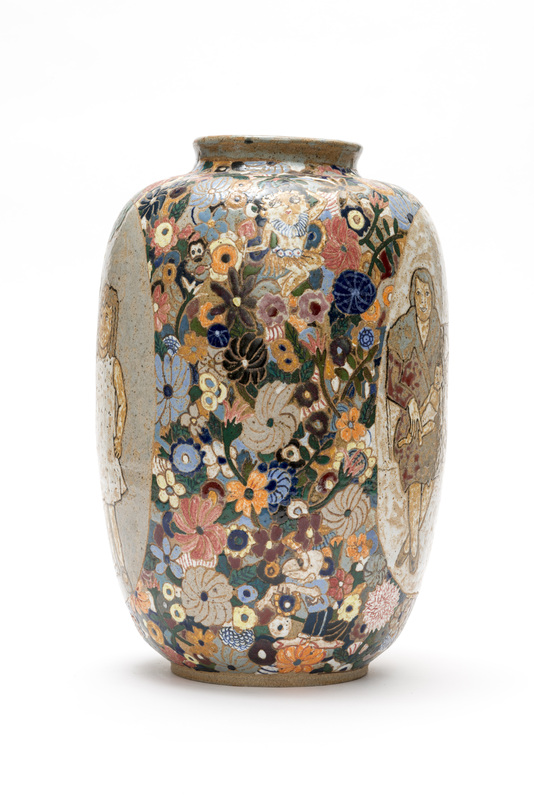 As a young aspiring jazz musician, Michael Frimkess turned to ceramics after a vision during a peyote trip. 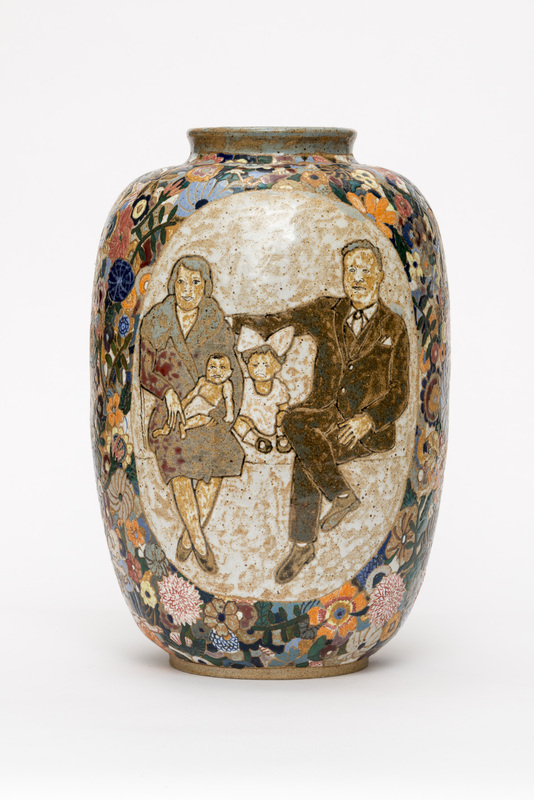 In 1956, he joined the now-famous ceramics class of Peter Voulkos at the Otis College of Art and Design, working alongside students including Ken Price, John Mason, and Billy Al Bengston. 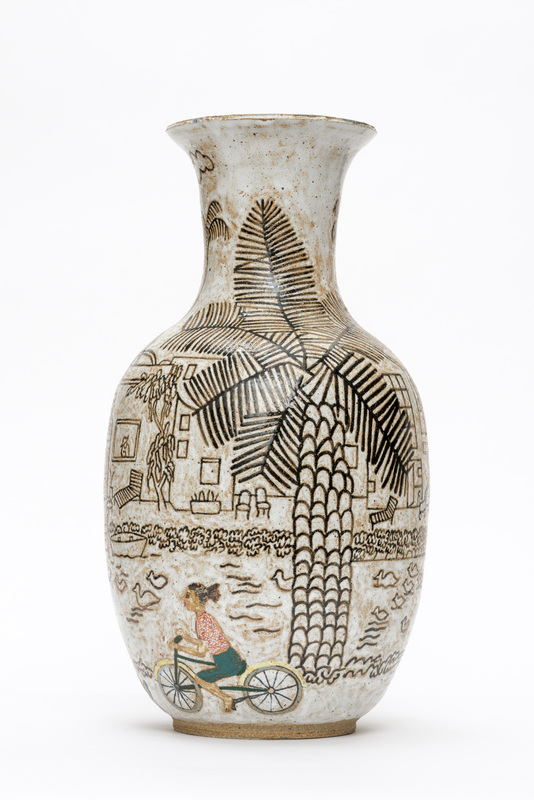 Magdalena’s earliest pots utilized Aztec motifs and Native American imagery, and in the late 1970s, began to adorn the pots with cartoon characters, advertising slogans, and family snapshots. 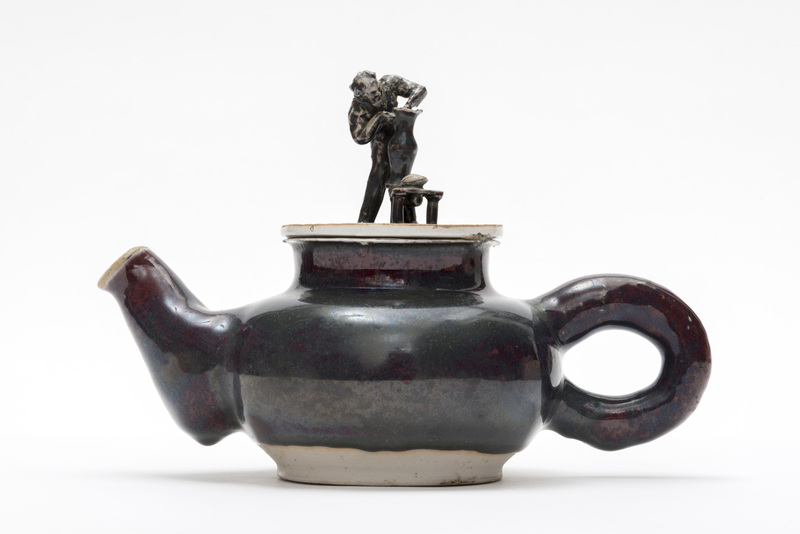 She improvises with whatever images strike her, intuitively jostling imagery to accommodate the contours around the pots thrown by her husband. 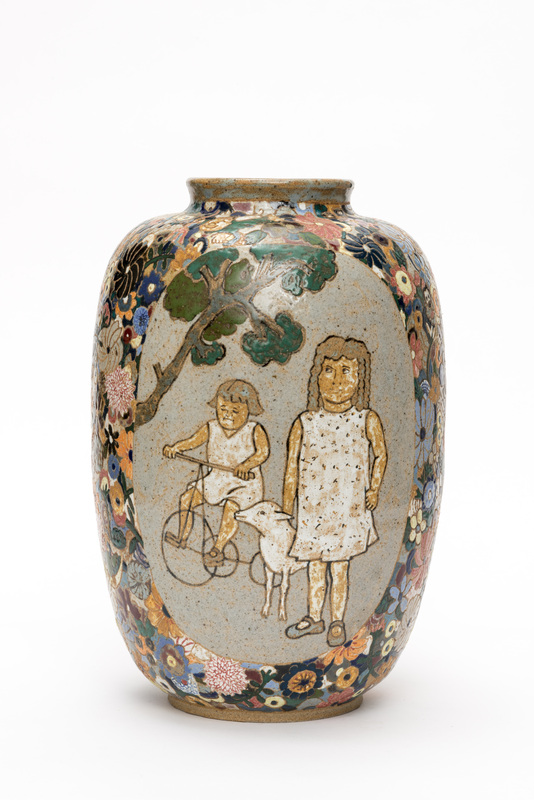 Their fifty-year collaboration constitutes a compelling body of work that snags itself on many genres—pottery, outsider art, mythology, pop—all of which fail to quantify its beautiful urgency and unique renewal of the ceramic tradition. Pots that Speak, 1975. 12 min. Filmmaker: Daniel Riesenfeld. Featuring Michael Frimkess.